We all need rescuing from time to time. When I am in trouble, I imagine my knight in shining armor sweeping in to lend a hand. Well, Pantene has become that knight in gold armor with their new Pantene Intense Rescue Shots. I have been dying my hair blonde for almost 5 straight years and I can tell you first hand the damage it can cause. I have tried many hair masks to help with my dry and breaking ends. They have always left my hair feeling greasy and weighed down. Now back to my shining armor hero – insert Pantene Intense Rescue Shots!! Their Pro-Vitamin B5, strengthening lipids and natural glycerin target damaged areas to give your hair the flexibility and resilience it needs. So that your hair can stand the test of time while styling and during everyday stress. The strengthening lipids in the shots absorb into your hair (which my other hair masks did not) so it leaves your hair light and not greasy/heavy at the end. So, you ask how you can have salon like hair at home? I will be happy to share with you how..
First off, I have paired these Intense Rescue Shots with the Pantene Repair & Protect Shampoo. It’s important to start by properly shampooing your hair and making sure it is clean. Then comes your Intense Rescue Shot, it’s a single tube so you don’t have to worry about overdosing your hair. All of what is in the tube goes straight on your hair. Don’t hold back when rubbing it in root-to-tip while targeting where you hair sees the most damage. Leave it for 30 seconds after applying and then rinse off for 30 seconds. I over rinsed the first time and it didn’t work to the full effect, so DON’T over rinse (count to 30 in your head and then be done). Use these weekly instead of your normal conditioner. Even if you don’t dye your hair, you probably use hot irons/blow dryers which you know can cause damage as well. All those things can take away the nutrients that we need which = bad hair days. 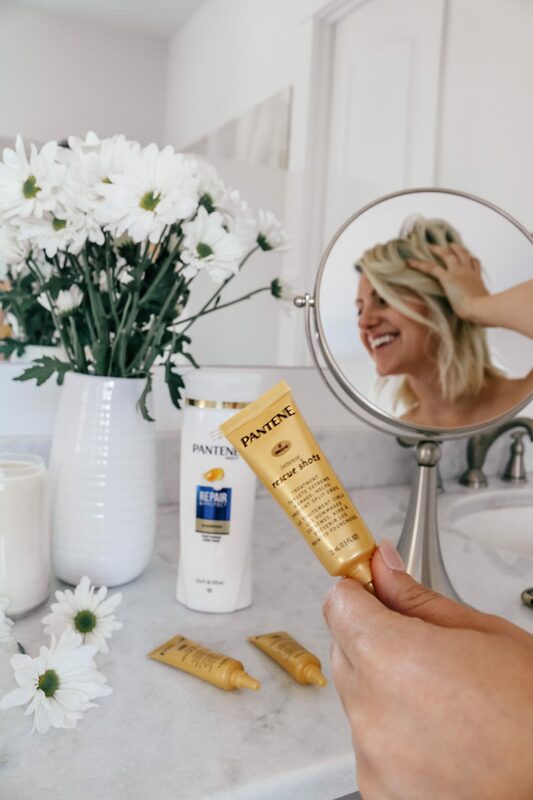 I am so thankful that Pantene is leveraging Brazil’s secret to great hair and letting me (and you) use these products at home. 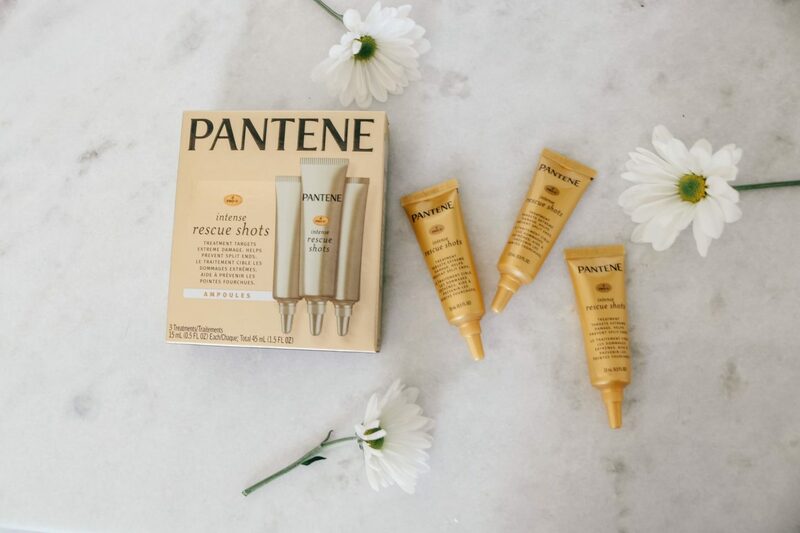 You can find the Pantene Pro-V Intense Rescue Shots (which hit shelves in January) at almost any store close to you. This sounds so nice!! I need to try it! Ooo this sounds like a lifesaver! I have been dying my hair blonde for years and hate how dry it can get. I’ll have to give this a shot, thanks for sharing! This looks like a product I really need. My hair is quite dry and it would appreciate some extra nourishment. Great review! I really like Pantene! This product sounds super helpful! I’ll have to check it out. Pantene is such an amazing brand! 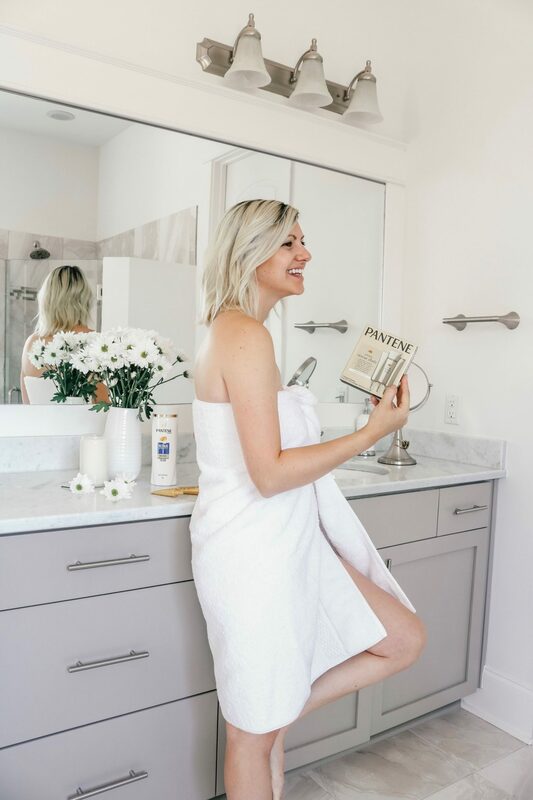 I’ve used a lot of products and I totally love it. Ah yes I could totally use this. My hair is a bit damaged. Thanks for this review! This sounds like something I can totally use! I love that you only need to leave it on for 30 seconds!